News and other information to keep you up to date on all things Business Architecture. 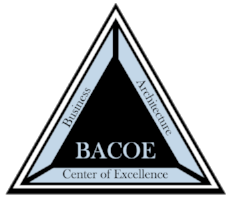 The BACOE is the leading practitioner-based association for the Business Architecture profession. We set professional standards, conduct research, provide information, and promote professional and career development. We offer practice-based certification, professional networking, and knowledge development opportunities.